The Atlanta Falcons announced earlier on Wednesday that they would be wearing alternate jerseys this weekend, and the Miami Dolphins refused to sit back and do nothing. These are among the best uniforms that the NFL has ever seen, and every game that the Dolphins play in their new ones is a slap in the face to people with proper vision because they’re terrible. These are amazing! It should be noted that the Dolphins beat the Steelers in their seriously ugly new uniforms last Sunday, so maybe they’re not all bad. 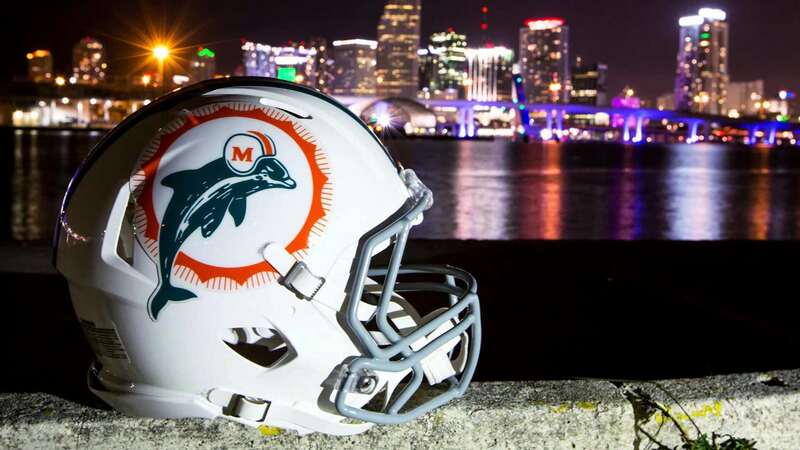 Also note that the Dolphins threw it back to these classics during a 2015 Monday Night Football showdown against the New York Giants… a game that they lost 31-24. What do you think of these Dolphins throwback uniforms? Let us know! Comment below, Email me at RJ@RJOchoaShow.com, or Tweet to me at @RJOchoa!